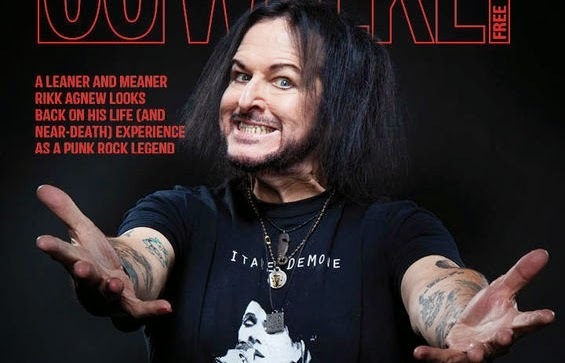 OC Weekly have released a feature story on ex-Christian Death/Adolescents guitarist Rikk Agnew and his bounce back from the gutter. "Agnew weighed 350 pounds, a massive white beard covered his double chin, his toes were like sausages, and the only shoes he could fit in were house slippers. Up until a week earlier, his daily booze regimen consisted of a fifth of whiskey, an 18-pack of beer and any vodka that happened to be within guzzling distance. That was on top of copious amounts of recreational pot, speed, meth, whatever."